INSTANT ORANGE FLAVOURED DRINK WITH SWEETENERS. DISSOLVE CONTENTS IN 1,5 L / 50.7 FL OZ OF WATER. INGREDIENTS: ACID: CITRIC ACID; ACIDITY REGULATOR: TRISODIUM CITRATE; BULKING AGENT: MALTODEXTRINE; MINERAL SALTS: SODIUM CHLORIDE, MAGNESIUM SULPHATE, POTASSIUM CHLORIDE; THIAMIN MONONITRATE (VITAMIN B1); THICKENERS: GUAR GUM, GUM ACACIA; SWEETENERS: ACESULFAME K, SUCRALOSE, STEVIOL GLYCOSIDES (STEVIA EXTRACTS); FLAVOURING; ANTI-CAKING AGENT: TRICALCIUM PHOSPHATE; NATURAL COLOUR: BETA CAROTENE. With Bolero Limonade you always have a tasty and sugar-free lemonade at your fingertips. Bolero Limonade is powder limonade in a small bag. 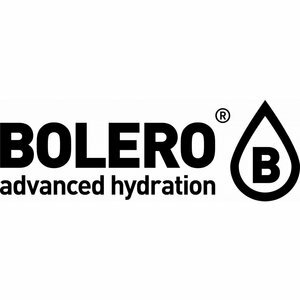 This makes Bolero very suitable for taking away and easy to store.